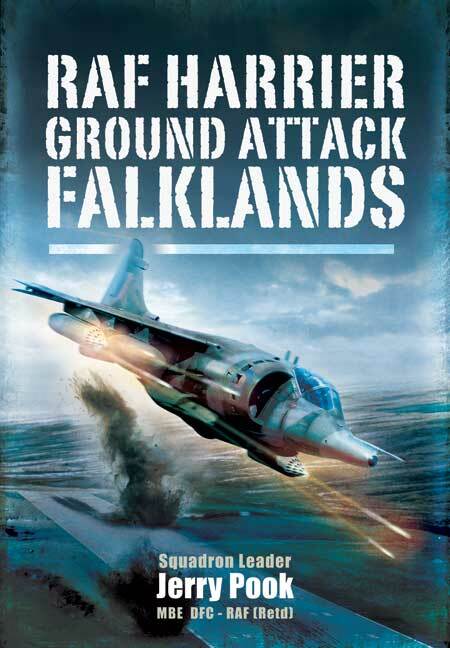 You'll be £0.99 closer to your next £10.00 credit when you purchase RAF Harrier Ground Attack - Falklands. What's this? During the Falklands war Jerry Pook, a pilot in No. 1(F) Squadron RAF, flew air interdiction, armed recce, close-air-support and airfield attack as well as pure photo-recce missions. Most weapons were delivered from extreme low-level attacks because of the lack of navigation aids and in the absence of Smart weapons. The only way he could achieve results was to get low down and close-in to the targets and, if necessary, carry out re-attacks to destroy high-value targets. Apart from brief carrier trials carried out many years previously there had been no RAF Harriers deployed at sea. The RAF pilots were treated with ill-disguised contempt by their naval masters, their professional opinions ignored in spite of the fact that the RN knew next to nothing about ground-attack and recce operations. Very soon after starting operations from the aircraft carrier HMS Hermes the squadron realised that they were considered as more or less expendable ordnance.